The last of three open campus forums to discuss the issue of arming campus police officers will be on Wednesday, March 6.The first forum was Feb. 11 and the second was Feb. 26. Wednesday's event will be from 11:30 a.m. to 1 p.m. in the Knight Library Browsing Room. The UO was granted permission in 2011 by the Oregon Legislature, Gov. John Kitzhaber and the State Board of Higher Education to form the state’s first on-campus police department at a public university. For the past year, with the help of an advisory group of students, faculty and staff, university leaders have been researching, analyzing and discussing the issue of arming UOPD police officers. The campus forums were scheduled to share information about the topic and hear questions and comments from the university community. Several other opportunities were also scheduled so that members of the campus community could contribute to the discussion, including five open, small-group meetings with interim UOPD Chief Carolyn McDermed. The first four small-group discussions have been held over the past few weeks and the fifth will be on Tuesday, March 5, from noon to 1 p.m., in the EMU Walnut Room. Comments can also be sent to campuspolicing@uoregon.edu. A number of factors will help inform the decision of whether or not to make a recommendation to the State Board of Higher Education to arm UOPD officers. Informed public input will be an important part of the consideration. 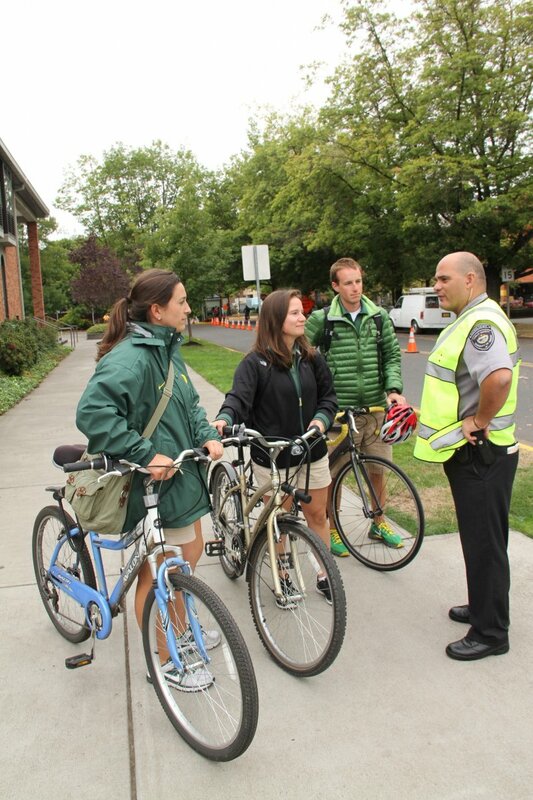 Additional stories and information about the issue are available at: around.uoregon.edu/campus-policing.